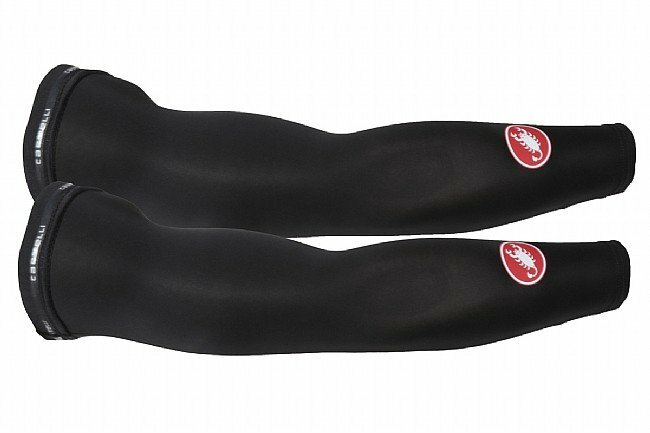 If it's a little chilly to start but you know the sun is going to be hot once it breaks through, Castelli's Lite Arm Sleeves are designed for exactly that. Solare fabric provides UPF 50+ sun protection, and it's polyester based so it also wicks moisture to prevent overheating. Elastic arm bands at the top feature double-sided silicone to keep these properly fitted from start to finish. Available in multiple colors. Claimed weight is 97 g / pair. whether you have had skin cancer or not it is a good idea to protect yourself from the sun's harmful rays. these arm sleeves fit like a glove and are so light and breathable you do not even know you are wearing them. who out there likes to have to carry sunscreen with them and have to stop and reapply when you can be protected with arm sleeves?!! westernbikeworks.com of course has the best price and the fastest shipping. i am 5'8 and 129lbs and the small fits me perfectly even with my seemingly extra long arms. so what if winter is approaching...you still need protection. get them NOW!